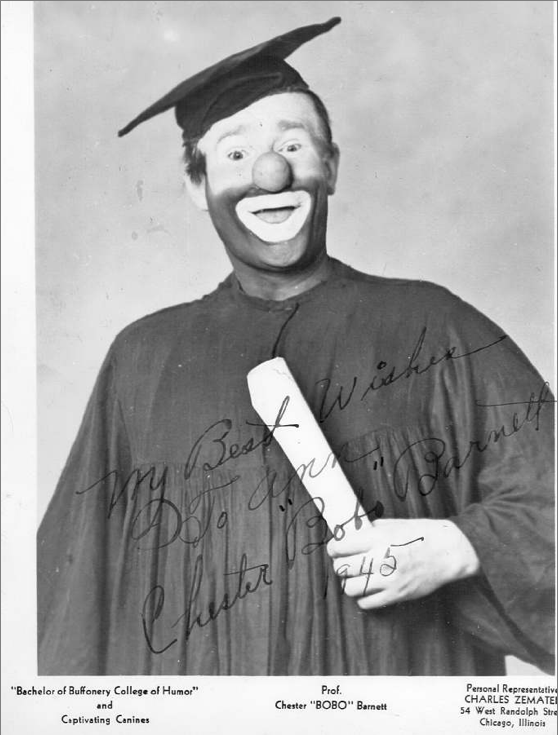 "Prof." Chester "Bobo" Barnett, former Ringling clown and longtime star clown with several Shrine shows, in cap and gown and described as "Bachelor of Buffoonery College of Humor" in this autographed photo from 1945. How widely distributed was this photo and just how much did Bobo have invested in the idea? Was it just for this one single publicity photo? Did he frame the act around it for a time? We've all heard that the idea for Clown College was Irvin Feld's. 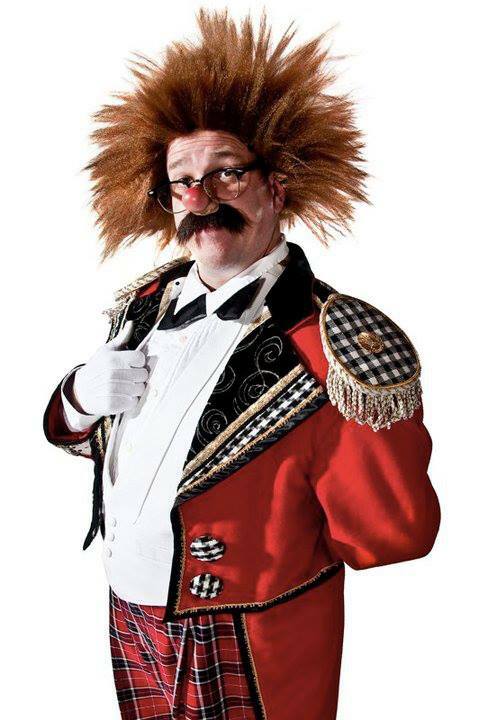 I've heard that the idea for Clown College was Danny Chapman's. I've heard that the idea for Clown College was first suggested by Otto Griebling. But maybe the germ of the idea came from a widely distributed publicity photo of Bobo Barnett? Last time I was in Sarasota visiting with Hashi Dubsky (who is married to Stephanie Chapman, one of Danny's daughters) we went to visit the "Chapman Complex". Hashi said, "Have you ever been to the real Clown College?" I said, "What?". We visited one of Danny's houses where many of the FIRST clown college classes were held. While the house is now just a residence, over in the corner of the property is a pit, overgrown and looking like a rectangular hole in the ground. To those in "the know" this is the pit that was used for trampoline training/practicing. While we look back with fond memories of the clown college experience, it was not so well thought of in the begining. I was there in 74 (the 7th class) and trying to get work post Clown College was difficult, not impossible, but difficult. Many fine clowns who went through the Ringling system were labeled "Ringling Rejects", irregardless of their individual talent. So, here I was standing on the "Original Clown College"- Danny Chapman's house chatting with two of his daughters and I was thinking: In 1971 I was 14 and was invited backstage to have a "hi and hello" meeting with Bill Ballantine. Being a tyro I knew NOTHING OF CIRCUS--I asked Mr. Ballantine about where I could get clown make-up, he turned to Danny Chapman and said, "Is the Garden Pharmacy still there? This is Michael Naughton and he wants to be a circus clown." Danny popped up and responded, "Michael, you can go to the Garden Pharmacy on 50th opposite where the old Madison Square Garden use to be and they have a 'theatrical make-up' section in the back. Tell them you want a pound of clown white, a big tube of red and a big tube of black. They only sell Stein's and that the only make-up you should buy". Danny was thrilled that a young person wanted to "come into the business"
That's the only time I ever met Danny Chapman--but his acceptance and encouragement were priceless. How lucky am I? I'm just a kid from the Bronx who loves the circus. 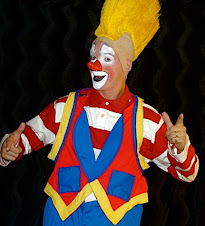 Bobo Barnett was always my favorite clown. He was always very friendly to me. I never missed his act when he was on any show. I spent a lot of time in the background at many circuses. Bobo always came over and talked to me. It was always like meeting an old friend every time. To me he was always the best in the ring or out. Mike Naughton is correct! Clown college WAS around before Feld. Stephanie and here sisters told me all of this and more I have also seen this house and Danny second wife,Sarah Chapman, has a ton of good stories. 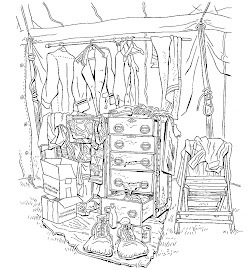 Danny (an excellent writer) wrote a 200 page "book" on a "Clown College" . Well that's a story for another day!